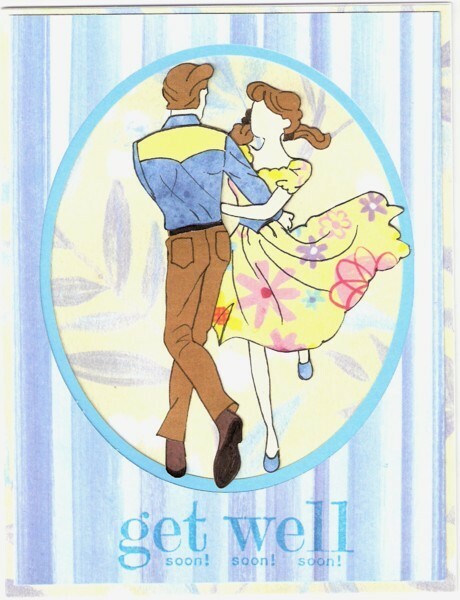 I made this card for a co-worker who loves square dancing. I made the pattern from some clip art I found on the internet. I printed it out and used my light box to trace the pieces onto scrapbooking paper.